Camouflage is much more than a fashion statement; for hunters, it’s a way of life. That is why every UTV manufacturer offers one or more camouflage patterns for 2019. 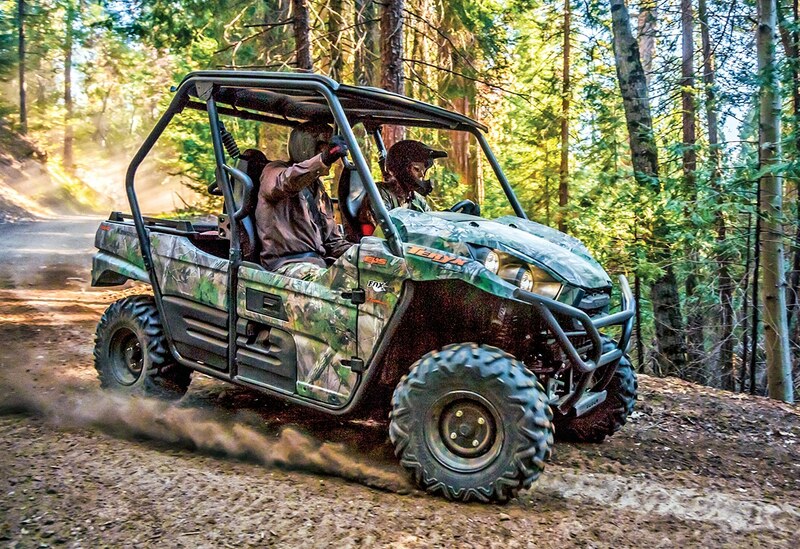 Kawasaki has three camo patterns—from the new True Timber HTC on the all-new Mule Pro-MX to the Matrix Camo Grey Limited Edition Teryx models. 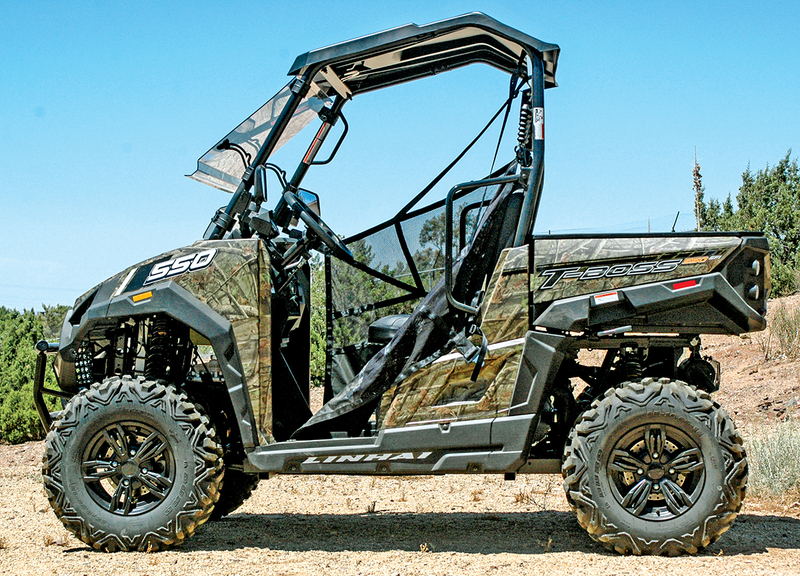 Yamaha switches over to exclusive Realtree Edge on Viking, Viking VI, and Wolverine X2 and X4 UTVs, while Textron offers Stampedes and Prowlers in True Timber Kanati. 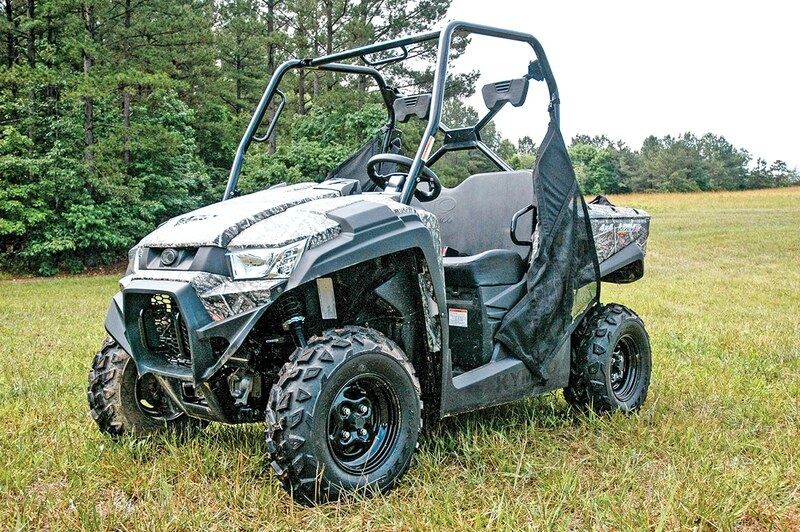 Honda and Polaris have their own exclusive camo patterns, or you can wrap your UTV in aftermarket patterns. 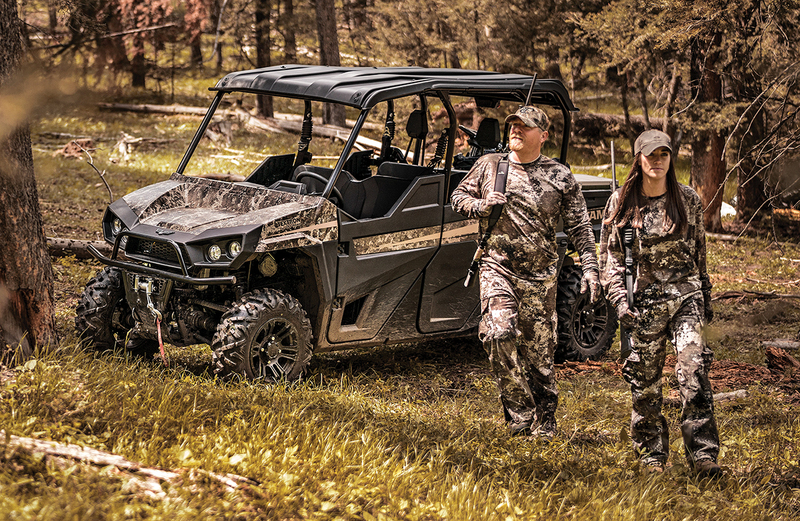 CAN-AM: Mossy Oak’s Break-Up Country pattern uses dramatically larger limbs, leaves, branches and shadows to achieve added depth, obliterate your outline and fuse you with the terrain. 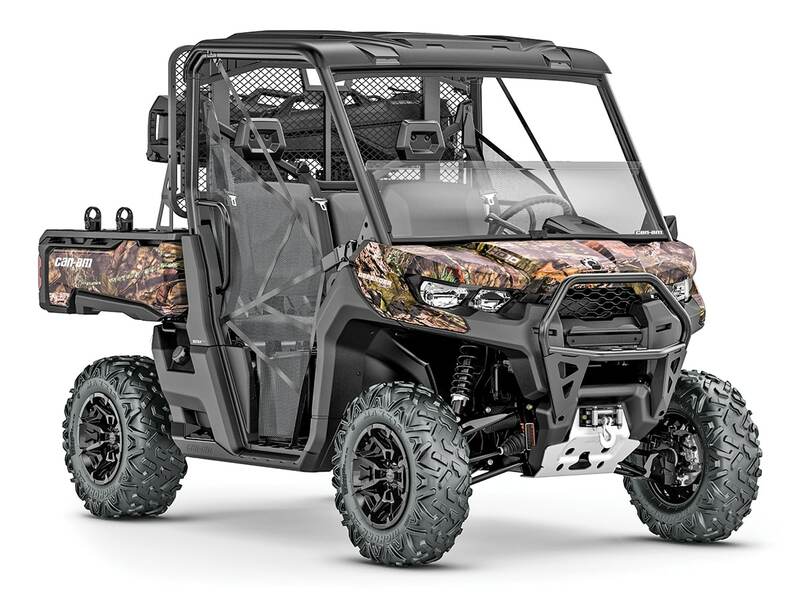 On the Maverick Trail 1000 DPS, MOBYC is an extra $100, and the Defender HD10 Hunting Edition also sports Kolpin Stronghold Gun Boots, a 4,500-pound winch, an H-D front bumper/skid plate and more for $19,699. It’s also available on the Defender X mr for an extra $100 ($19,399). KAWASAKI: The 3D-pattern Realtree Xtra Green Camo claims to be the most effective early-season camo pattern on the market. Realtree APG-Xtra Green Camo is available on the Teryx 800FI for an extra $1300, but that also includes extra LED headlights and a roof. 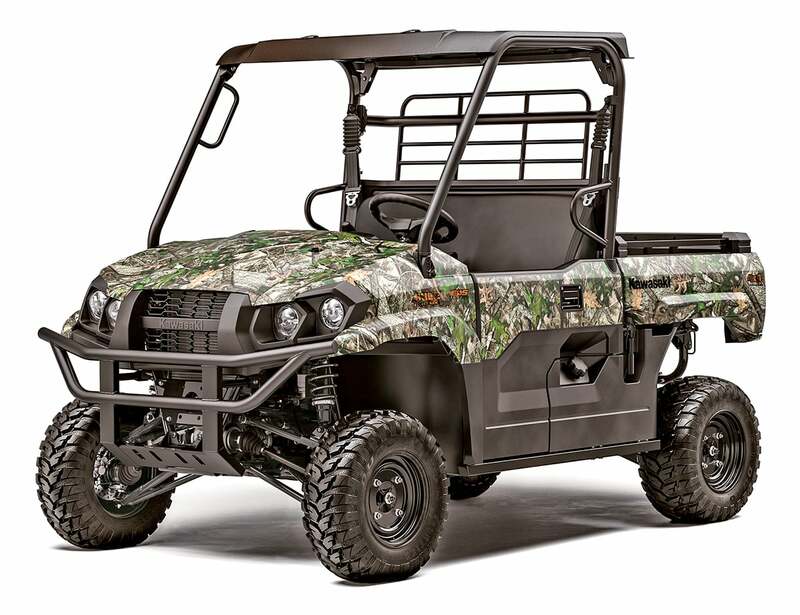 The Camo Teryx4 is $500 more than the base model. 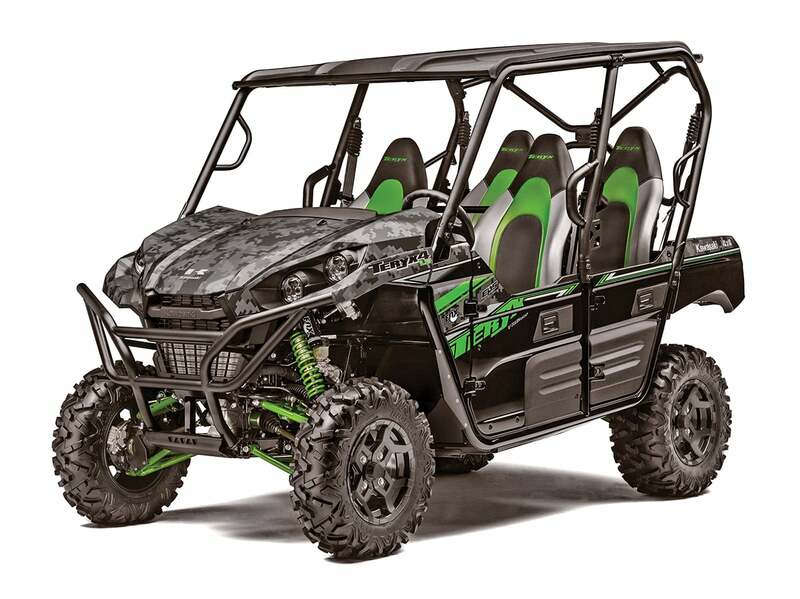 Realtree Xtra Green is also an option on the Mule SX XC ($650 extra), Mule Trans4x4 4010 ($500) and Mule Pro-FXT models ($1300). KAWASAKI: There is also a Matrix Camo Grey option for Teryx and Teryx4 Limited Editions for an extra $200. KAWASAKI: The new Mule Pro-MX EPS is available in True Timber HTC Green for $150 more than the Pro-MX Limited Edition, but it doesn’t get the LE’s two-tone aluminum wheels. HONDA: Phantom Camo is tested and developed for maximum effectiveness in North American environments during any season. 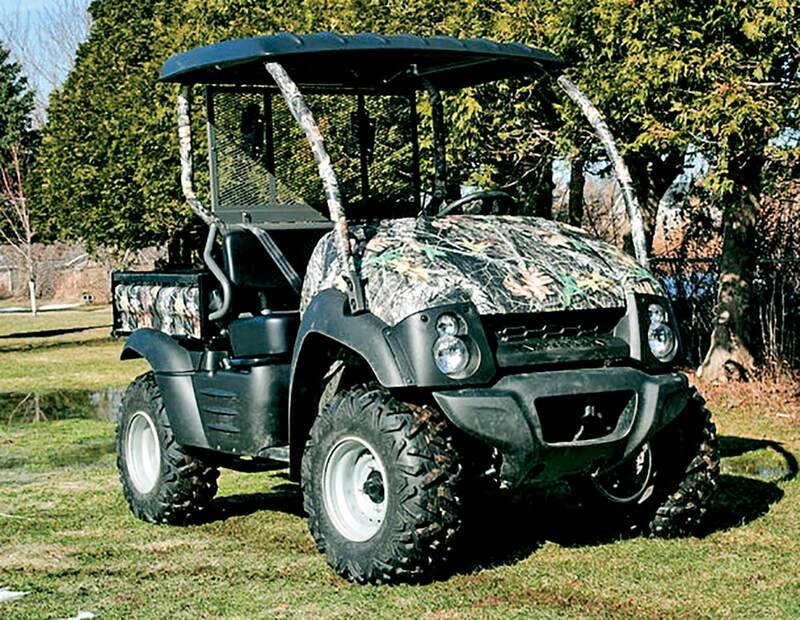 Honda’s reality-based, non-repeating Natural Camo is back on the Pioneer 500 for $600 extra. It’s also available on the larger Pioneer models. POLARIS: Polaris’ Pursuit Camo pattern is said to blend into the environment. The Ranger 570 comes in PPC for an extra $600, while the Ranger Crew XP 1000 EPS comes in a PPC wrap for an extra $200. 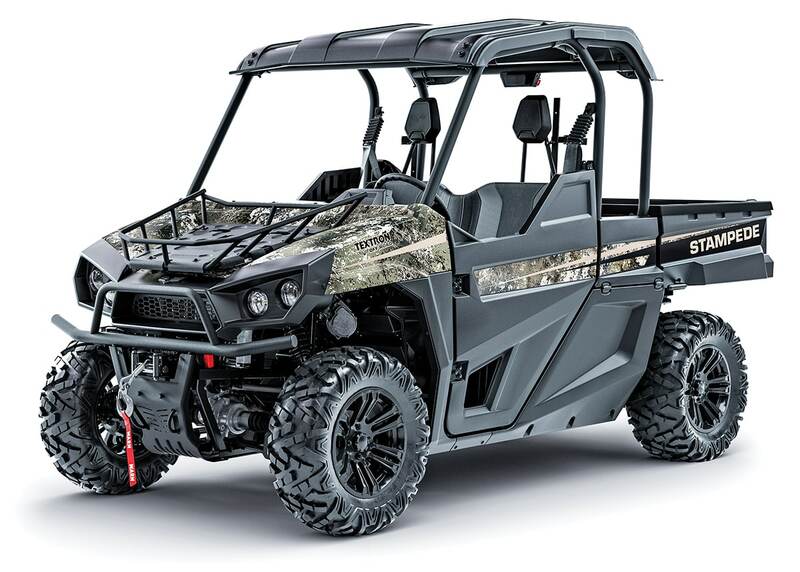 There is a General 1000 Hunter Edition in PPC with dual gun scabbards, gun boots, a 4500-pound winch and a sport, low-profile front bumper for $18,999. KYMCO: The multi-dimensional True Timber pattern can be used any time there is green, from early spring to late fall. 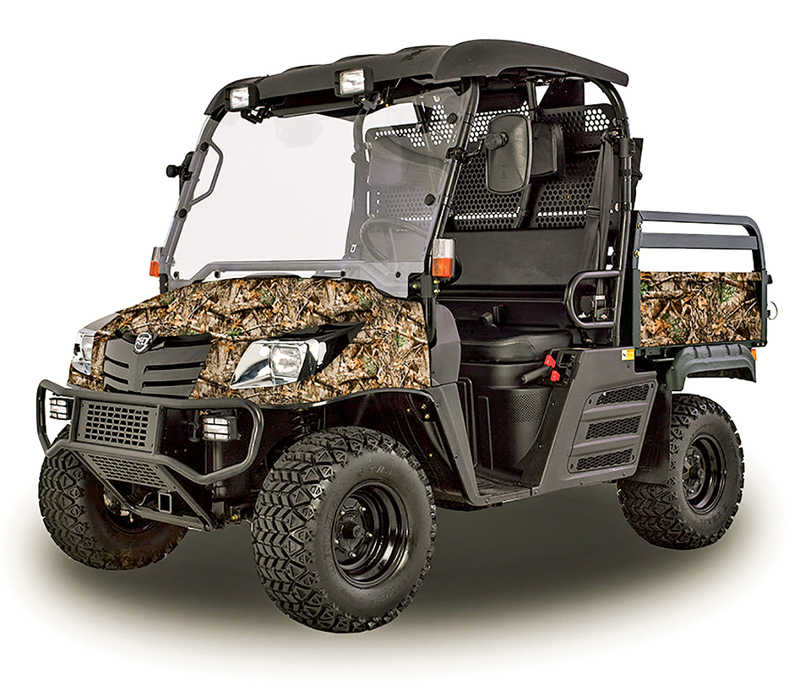 The Kymco UXV700i, UXV450i and MXU450i 4x4s come in True Timber Camo for $500 more, and Kymco offers a UXV gun-boot kit with mount for $274.99. 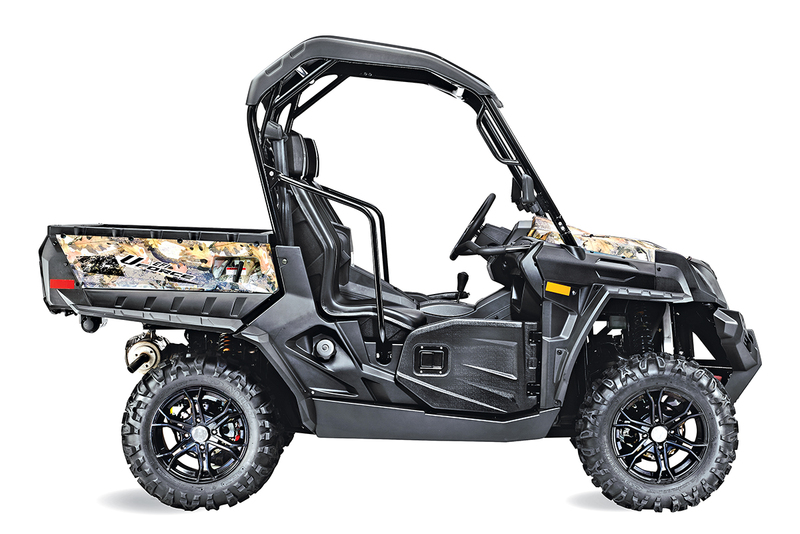 YAMAHA: For 2019, Yamaha switches from Realtree Xtra to Realtree Edge Camo on Vikings and Viking VIs for an extra $900. Realtree Edge has warm grays and browns that are found in the woods year round, pockets of shadows and highlights for an open pattern at a distance, and realistic leaves and branches arranged to match the forest floor and canopy. The Wolverine X4 also comes in the new Realtree Edge for $450 more. 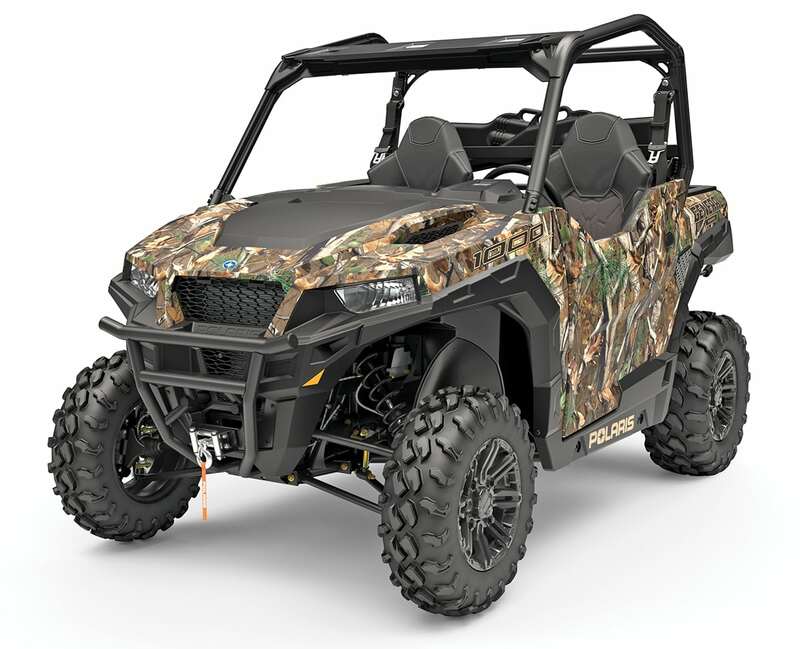 TEXTRON OFF-ROAD: Possibly the best early-season camo pattern available, Textron Off-Road’s Stampede 900 EPS and Stampede 4 come in True Timber Kanati Camo for an extra $600. Textron also has electric Prowler EVs and EV-iS models in Kanati Camo for $400 more. JOHN DEERE: Realtree Hardwoods HD Camo is the all-season, all-region camouflage for timbered areas. Designed to be versatile and span all seasons, Hardwoods HD even works in winter. The RSX860i and select other XUVs are available in Realtree Hardwoods Camo for an extra $650. CFMOTO: True Timber Camo on U-Force 500 and 800 models costs an extra $450. Z-Force UTVs are not available in camo. MASSIMO: Select Massimo UTVs come with a Vista Camo wrap, including the new T-Boss 550 and 500, camo-only Knight 700, Knight 500, and MSU700-5, plus MSU700, MSU 500, Alli 700, Alli 500 and Gunner 250s. The Warrior 700 and 800 also come in a Digital Camo version. KC HILITES: KC Hilites offers its high-quality C-Series LED light bars with a camouflage outer pattern for optimal concealment and a versatile and bright combo pattern. 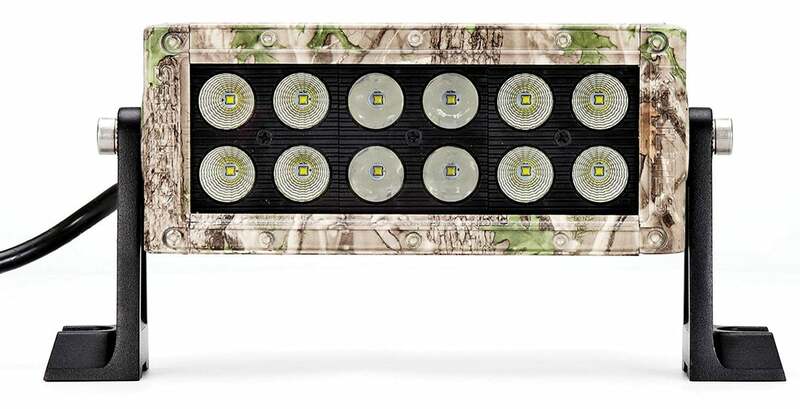 Camo is available on the 20-inch ($318), 10-inch ($215), and 6-inch ($169) LED bars, 3-inch C3 LED pods ($196), and even the more old-school 6-inch Daylighter Halogen systems ($245). Check out www.kchilites.com. 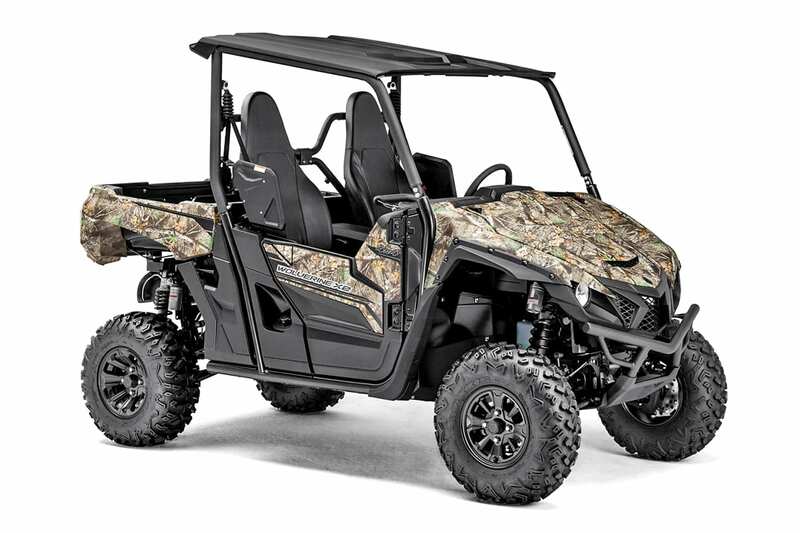 REALTREE UTV WRAPS: The Realtree Store offers camo UTV kits for $240. Each kit includes three 4×5-foot sheets of adhesive-backed vinyl with a matte finish in Realtree Xtra, Xtra Green, Xtra Snow, Xtra Pink, or Max-5 patterns. See www.store.realtree.com. 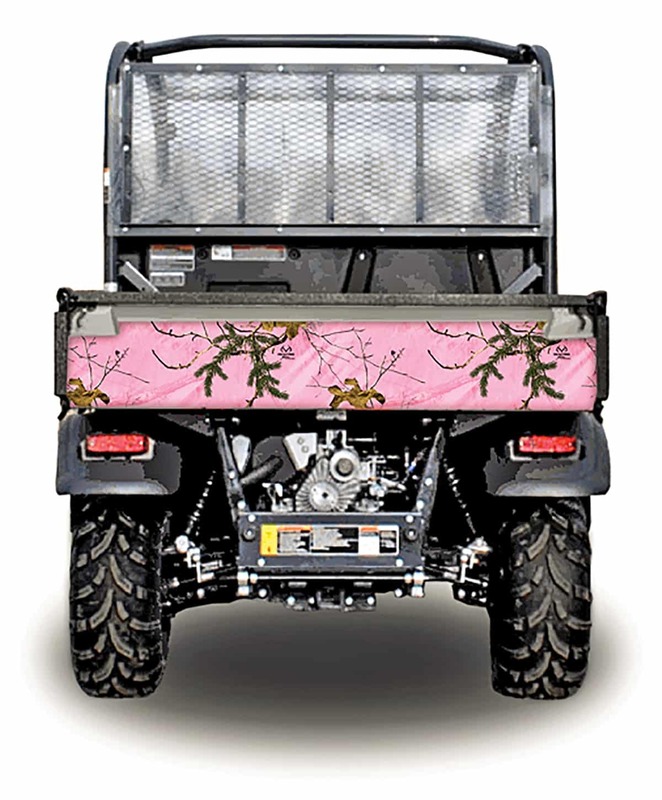 CAMOWRAPS: Camowraps also sells licensed Realtree Xtra, Max-1 HD, Max-5 HD, Xtra Green, Xtra Pink or Xtra Snow UTV wraps. You can also opt for Moonshine Camo wraps with Serenity, Outshine, Muddy Girl, Toxic, Undertow, Wildfire and Harvest Moon patterns. The UTV kit includes three 48×60-inch sheets of adhesive vinyl graphics with bubble-free installation for $240. See www.camowraps.com. 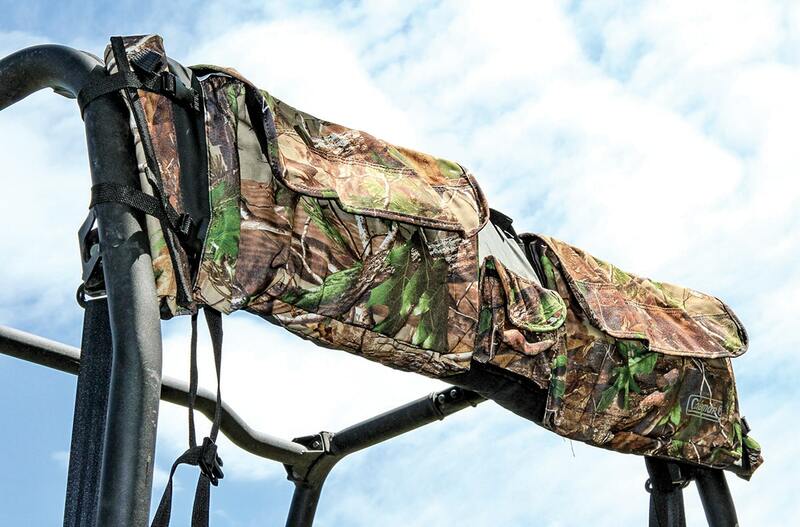 MOOSE UTILITY DIVISION: Moose makes camo fabric cab enclosures in Mossy Oak Break-Up. 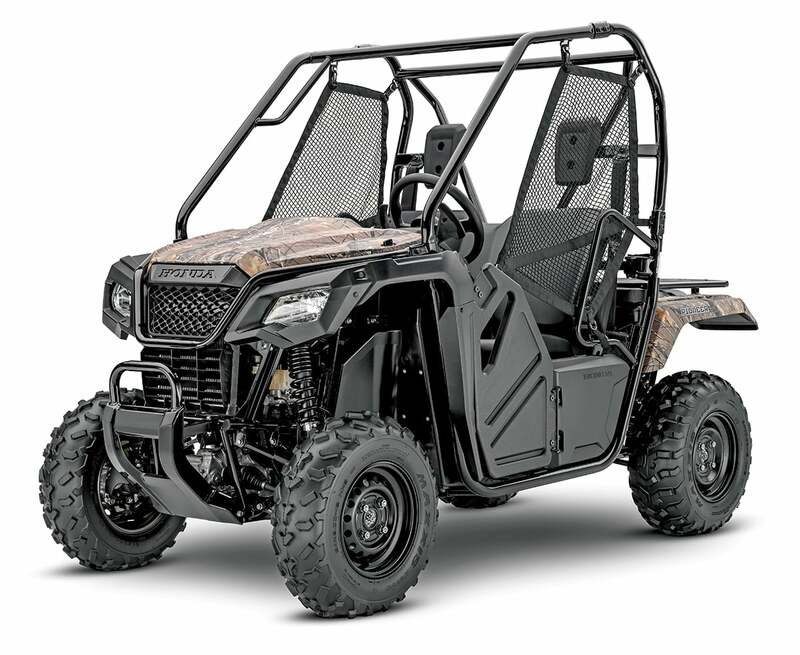 They are available for Kawasaki Mule 610/SXs, 4000/4010s, 3000s and Teryxs, Polaris RZRs and Rangers, Yamaha Rhinos and Honda Big Reds for $524.95–$525.95. They include roof, back and doors with automotive-grade flexible-acrylic windows that are made of 500-denier nylon or 600-denier PVC-backed polyester (Teryx only). Moose also makes camouflage fabric roofs in Mossy Oak Break-Up for Prowlers, RZRs, Rangers, Rhinos and Vikings for $84.95–$109.95. 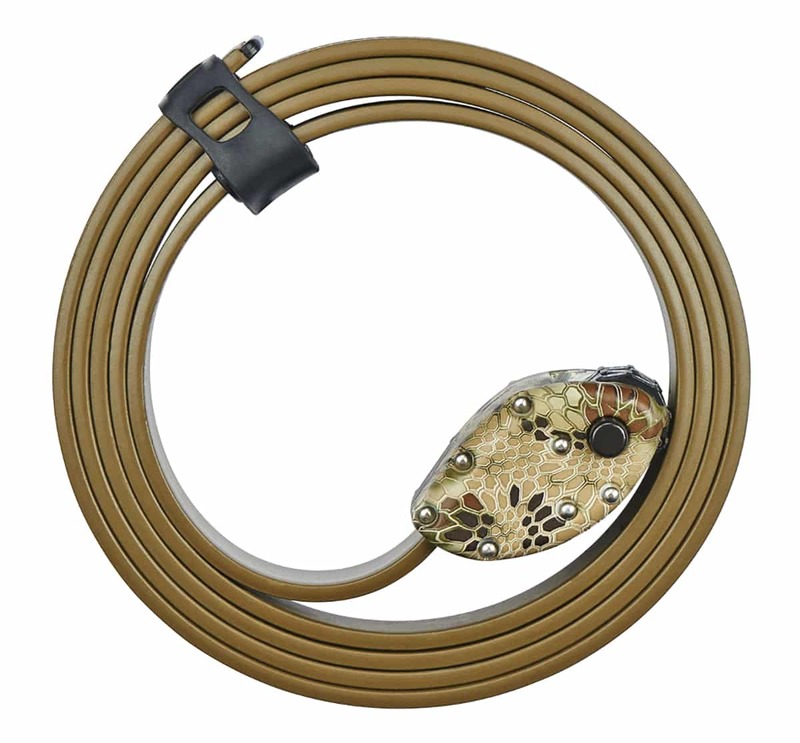 They feature hook-and-loop roll-cage closures or buckled straps (Rangers). 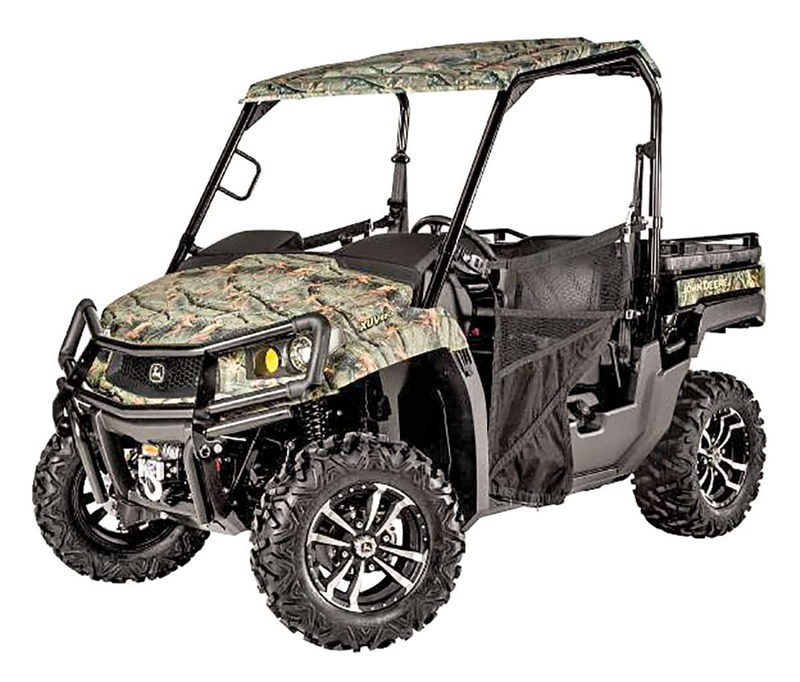 MOSSY OAK GRAPHICS: Wrap everything from UTVs, guns, scopes, boats and more with high-quality 3M cast-vinyl Mossy Oak Matte Camo rolls ($12) or UTV wrap kits ($279.95) in 14 licensed Mossy Oak patterns: Break-Up, BU Country, BU Infinity, BU Pink, Obsession, Shadow Grass Blades, Treestand, Duck Blind, Brush, Bottomland, Winter, Winter Brush, Blaze and Bottomland Pink. Call (888) 6558 or visit www.mossyoakgraphics.com. combination wheels with an aluminum head. MSRPs are $70 and $85. See www.ottodesignworks.com. KOLPIN: If you want a camouflage gun boot, Kolpin’s Gun Boot IV comes in Realtree All-Purpose (shown) or Mossy Oak Break-Up for $96.59. COLEMAN: The Coleman UTV gun scabbard ($69) keeps your gun and ammo within easy reach and comes in a Realtree APG Camo design. 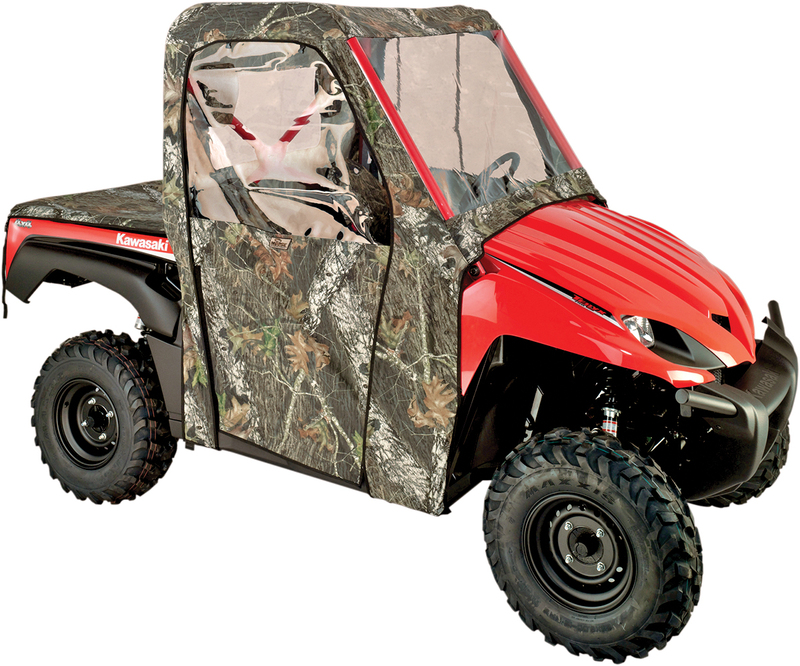 Easy roll-up closure provides easy access, and it detaches from the UTV and doubles as its own carrying case with a top handle. www.coleman.com.